Dry mouth causes can be divided into several main groups. But before we talk about the causes of dry mouth and dry tongue, let's take a look at what we are talking about! A dry mouth is basically a lack of saliva. It may be a relatively mild condition, where the flow of saliva is less than normal and results in a general sense of your mouth being a bit dry. Or it can be much more severe, where there is hardly any saliva being produced at all, resulting in other dental problems. What other symptoms of dry mouth are there? You feel that your mouth is very dry, sometimes "gummed up"
Your lips may become cracked, and you can get small sore spots in your mouth. You may find it difficult to chew and swallow food. What problems can a lack of saliva cause? Apart from the sheer discomfort that a dry mouth causes, there are a number of other things which can be serious. Without the lubrication qualities of saliva, a dry mouth causes a general soreness around the mouth and on the tongue. Your mouth starts to get "gummed up", and your dry tongue tends to stick to the roof of your mouth. But saliva does more than just lubricate. It also neutralizes acids from things we eat and drink, and also acids from plaque on our teeth. Without saliva, these acids are not neutralized, and this leads to more tooth decay than normal. You start to get more cavities appearing. Saliva also helps to keep the balance of bacteria in our mouths. It helps to protect against gum disease. Without saliva, any gum problems you already have are likely to get worse. Even if you don't have any teeth and wear full dentures, a dry mouth causes problems. Saliva provides a degree of lubrication for dentures, and also helps them to stay in place. If you have a dry mouth, your dentures will not stay in place as well as normal, and will tend to rub on the gums, causing Denture Pain. There are several causes of dry mouth, which is also called xerostomia. Among the most common dry mouth causes, taking medication is the number one. A very common side effect of many, many medications is a reduction in the flow of saliva. Less saliva leads to a dry mouth and a dry tongue. This is the case for both prescription and non-prescription drugs. The most common medications involved in dry mouth causes are drugs used to treat anxiety, depression, and allergies. 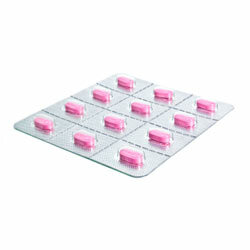 Cold cure remedies which contain decongestants and antihistamines will also reduce saliva flow. The list of drugs goes on, and includes Accutane for acne, some drugs used for epilepsy, as well as some drugs for high blood pressure. A dry mouth can also be caused by certain types of sedative. There are some medical conditions that can result in a dry mouth. The most common one is probably Sjogren's syndrome. However other medical conditions such as Alzheimer's disease, diabetes, anemia, Parkinson's disease, and mumps can also result in a lack of saliva. It is possible for a salivary duct to become blocked. The most usual cause is a small salivary "stone" that has formed in the duct. When this happens to one of the large salivary glands, you will also notice some discomfort and swelling just before and during mealtimes. This discomfort and swelling is caused by saliva building up behind the blockage, creating pressure in the duct, usually when you're getting ready to eat. A very common cause of dry mouth is where you have got into the habit of breathing through your mouth rather than through your nose. This can quickly dry out your mouth, leaving a gummy sensation. The problem is usually worse when you breath through your mouth at night, particularly if you live in a climate with dry air, or you have heating or air conditioning that dries out the air in your home. USING A ROOM HUMIDIFIER can really help. Now we are getting into the "less common" causes of dry mouth. Sometimes there is damage to the salivary glands from cancer treatments such as radiation therapy to the head and neck, and also chemotherapy treatments. A dry mouth can be the result of damage to nerves of the head and neck, either from an injury of some sort, or from surgery. Any conditions that lead to a general dehydration of your body can also cause dry mouth. These conditions include things like running a high fever, sweating a lot, vomiting and diarrhoea for any reason, a severe loss of blood, or severe burns. Although in these last cases a dry mouth will be the least of your worries! Smoking or chewing tobacco can affect saliva production and cause a dry mouth. Drinking too much alcohol can do the same, although the real reason is dehydration. Take a look at my page about Dry Mouth Remedy for more information about possible remedies for dry mouth. Some people only get a dry mouth when they are asleep. During the day they don't have any problems, but at night time somethings happens that results in them waking up with a dry mouth. For more detail on this, visit my page about a Dry Mouth at Night. As you can see, dry mouth causes are many and varied! But by far the most common one among all the causes of dry mouth and dry tongue is medication prescribed by a doctor. Sometimes it's possible to adjust the dose of your medication to help reduce the degree of dry mouth. So if you are having problems with a dry mouth, and you are on medications, you first port of call should be your doctor!